We all have family photos that are special to us; those that we specifically like among all the hundreds of family photos that we have. We like them for a variety of reasons. It could be because it reminds us of an important family event or it perfectly captures a feeling or represents an unforgettable moment. Whatever the reasons may be, we like to look at these photos whenever we want and we like to show them to others whenever we have an opportunity. 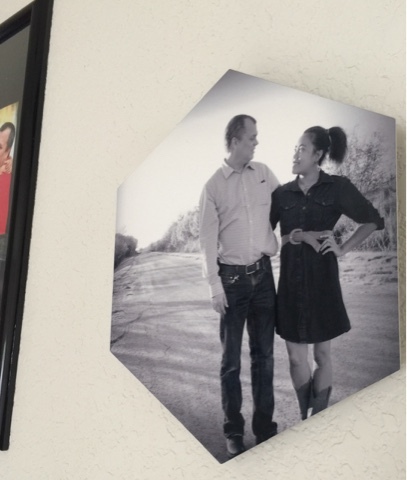 One of the best ways to show off our favorite family photos is by turning them into a home décor. AdoramaPix helps people turn their digital photographs from abstract computer files into beautiful keepsakes designed to last a lifetime. Their contemporary metal prints capture memories in rich color and vibrant detail. 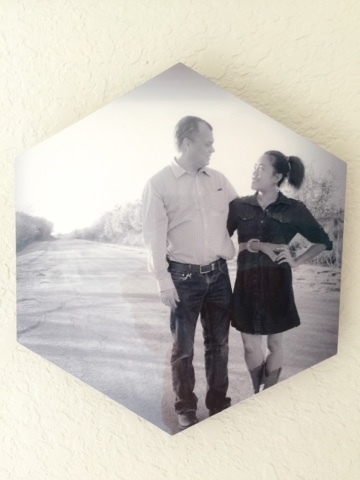 Hexagon Metal Print will showcase your photos with a distinctive degree of breathtaking depth that makes them truly standout. I really really love how it turned out. The quality is outstanding and the depth of detail is incredible. I can't wait to order some of this hexagon metal prints. I would highly recommend AdoramaPix to everyone. Check them out today to get started! Like them on Facebook or follow them on Twitter for updates and promotions. My readers get to save! 25% off Hexagon #Metal Prints! Use promo code: PXHEXMTL25 expires 06/ 15 /2016. Disclosure: Product mentioned above was provided for FREE by AdoramaPix via USFamilyGuide for product endorsement/review purposes. I am disclosing this post in accordance with the FTC guidelines concerning the Use of Endorsements and Testimonials in Advertising.